Submit Your Proposal for Payette’s Inaugural Day of Service! As part of Payette’s commitment to community engagement, the firm is implementing its first annual, skills-based service program to benefit organizations in the Greater Boston region. 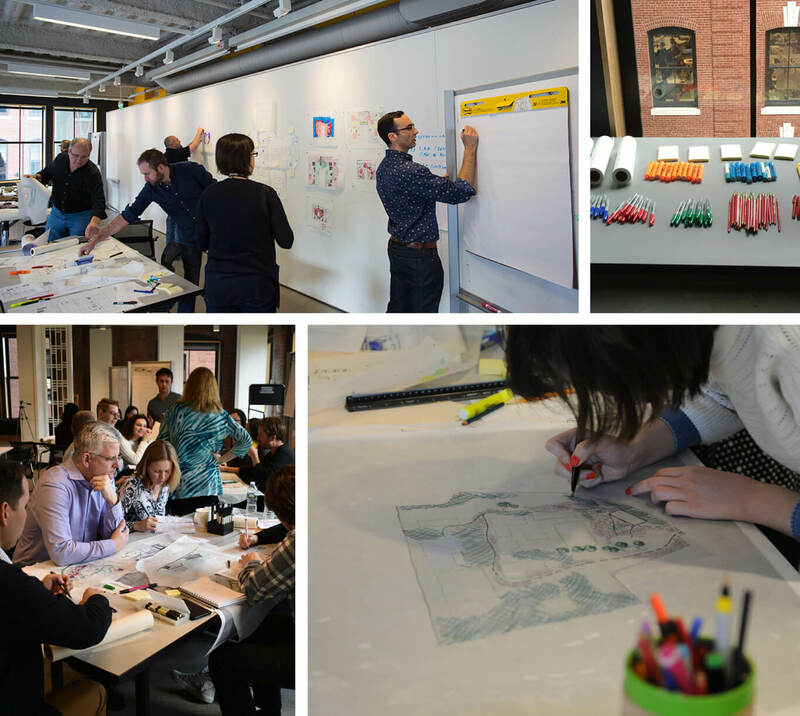 This program seeks to connect our practice to the Greater Boston community by supporting a variety of efforts to make a positive impact through design excellence. On the Day of Service Payette donates the time of one-third of the staff for one work day, to community focused initiatives. During the day-long charrette, stakeholders from selected proposals will work with the Payette staff in a collaborative design process tailored to their organization’s mission. This exchange of knowledge benefits both Payette and the community partners by constructing a deeper understanding of our city through thoughtful conversations, in-depth explorations and tangible deliverables completed by design professionals. Proposals received by November 9, 2018 will be reviewed and of those proposals, four to six projects will be selected by the Payette staff. Each project will then be designated a team of 5-10 members from the Payette staff dedicated to each project on the day of service. Each team will have a project lead responsible for working with the community partners to coordinate scope definition, identify deliverables, and follow up after the Day of Service. Team members and their community partners will participate in at least two required planning meetings, December 7, 2018 and January 4, 2019 from 4:00 to 5:30pm, to further identify the project scope and deliverables. Following the Day of Service, the team will provide the community partners with the identified deliverables. The project team and community partners will also be asked to participate in a follow-up survey to evaluate the experience and impact of the day. Please email Casey Mahoney cmahoney@payette.com for more information regarding the application. What an awesome idea, Payette. Design thinking is a powerful tool. Excited to see what the future holds. Elevate.